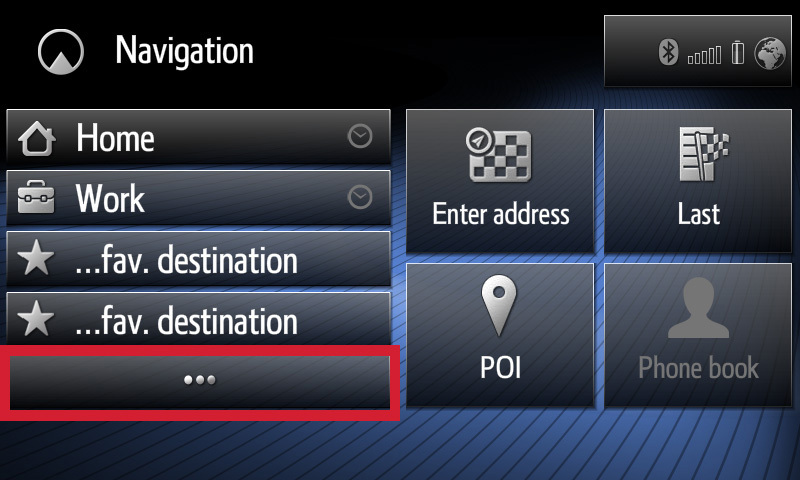 To set auto navigation, press the [MAP/NAV] button of the device and enter the navigation menu. 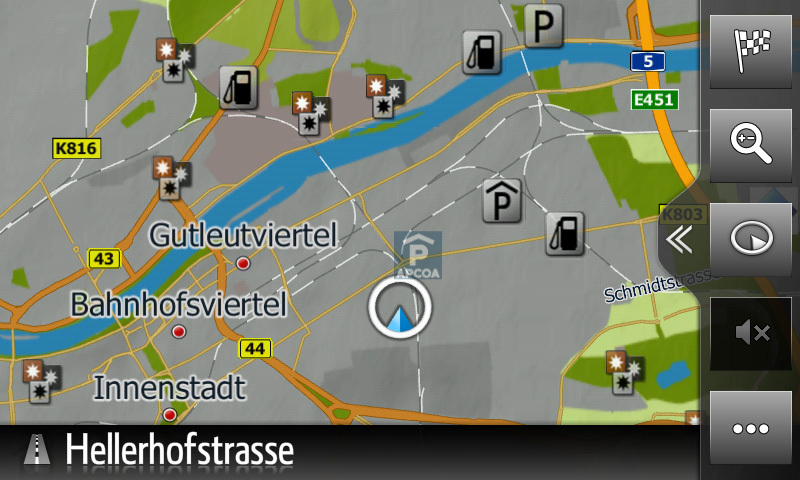 Touch [...] to choose a favourite destination for auto navigation. 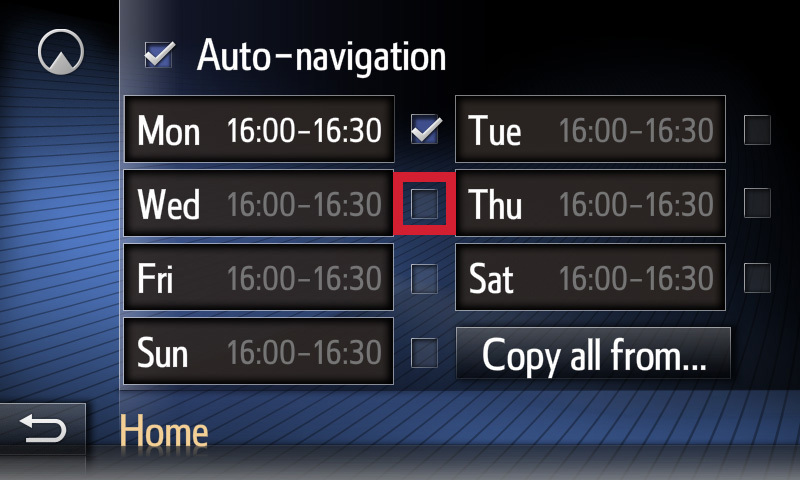 Press the clock icon next to your favourite. To enter the time touch [Mon]. 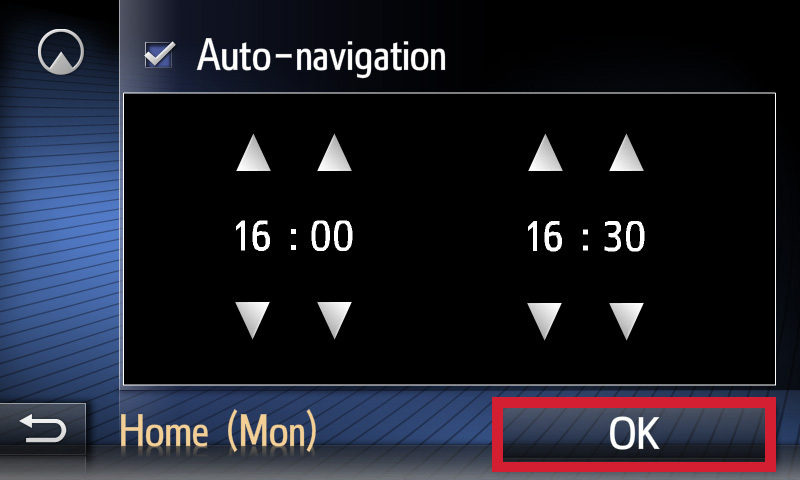 Adjust the time-window (start and end) using the arrow buttons and confirm with [OK]. 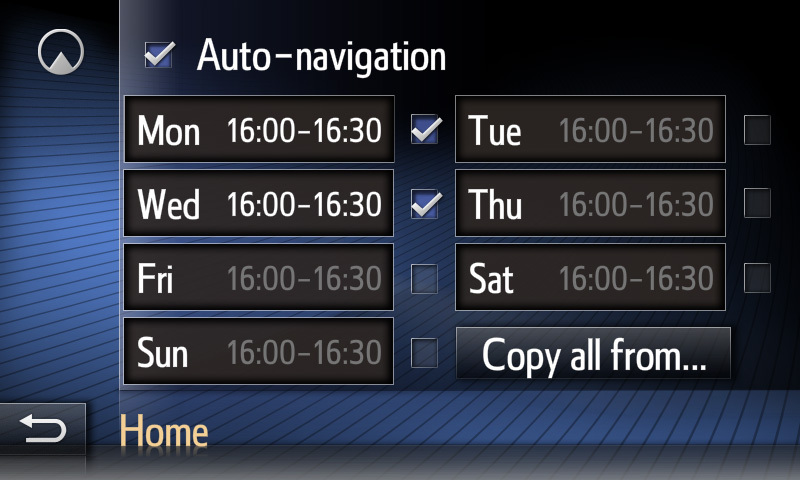 To set the time for the remaining days, repeat similar for each day - or select [Copy all from...] and see next screen. 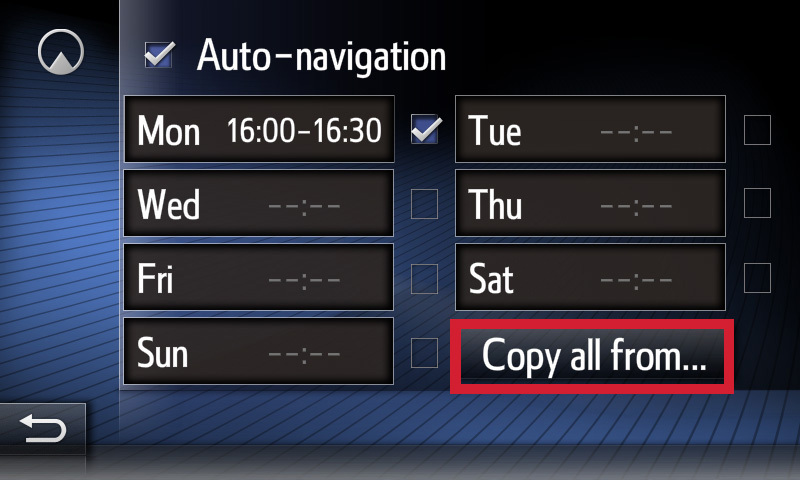 Now choose the time setting you want to copy by touching it. 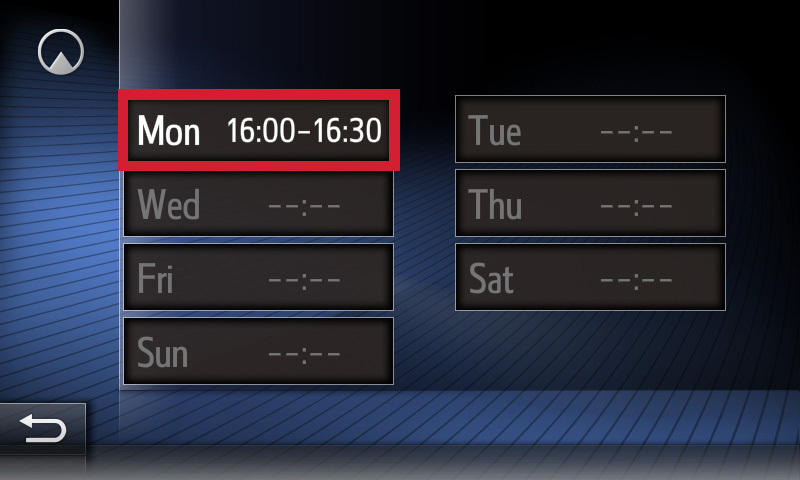 Timeslots are now in memory. 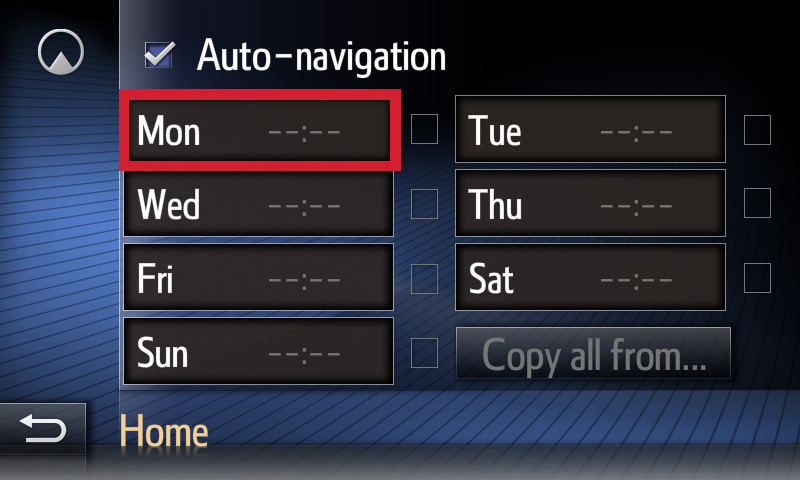 To activate them, check the box next to the related day(s). 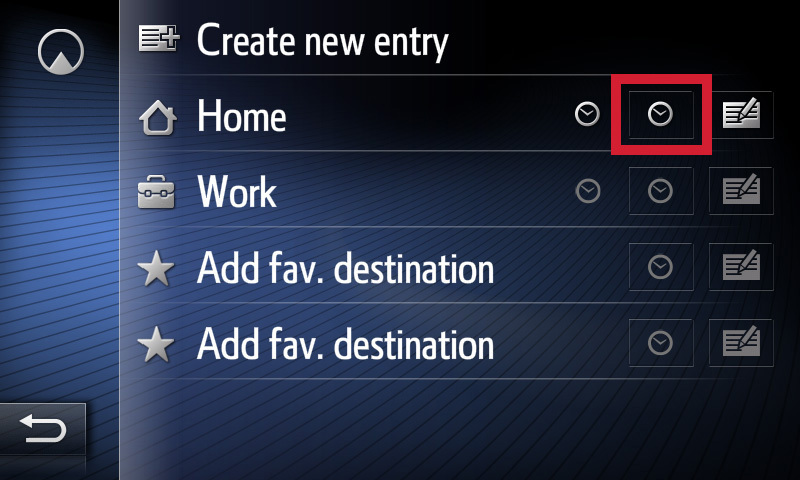 You can activate any additional day in the same way.